Coleoftheball: Fashion ¦ Something a little different this christmas. Fashion ¦ Something a little different this christmas. We’ve all got that one person who is an absolute nightmare to buy for around this time of year whether it’s the woman who has everything or the man who says he wants nothing. Buying a Christmas gift that really means something is a difficult task. I always like to look for really individual brands which offer something a little different than what you can buy on the high street. Few days ago I received a press release about a Spanish brand and that’s where Unode50 women jewellery come in. 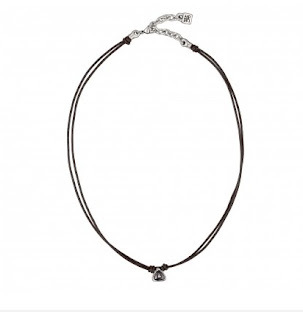 UnoDe50 offers a stunning range of both men’s and women’s jewellery. UnoDe50 was set up in the 90’s to create a style of jewellery that was a little different to everything else. All their jewellery is 100% handcrafted in Spain and they pride themselves on their creativity, unique style and bold spirt. Each of the pieces of Unde50 women’s and men’s jewellery are crafted from Silver plated metal alloys with silver, thread, resin or stone. Giving each piece a little touch of individuality. All of the pieces are made from the same cast made of wax which is hand carved. I love the fact that they really do offer a little bit of everything. You can get incredibly dainty pieces like this fashion necklace or you can get something super chunky like their bracelets. My favourite bits from the brand have to be the Fashion Necklaces. I think the fact that they offer such a wonderful variety and they are all so individual. I feel like the pieces of UnoDe50 women’s jewellery are something that people would ask about and when you’re as socially awkward as me any conversation starter is a good one so while not do it whist wearing fab accessories. I could also imagine buying a couple of the rings to wear stacked. My favourite thing about the brand is the way that they incorporate the stones, crystals and pearls so beautifully so that they don’t get lost but they don’t take the attention away from the other little details in the pieces. If you are looking for something to buy someone special I’d definitely suggest having a look. The prices are mid-range but in my opinion for bespoke handcrafted jewellery they are pretty reasonable. I think these pieces would also be perfect for if you are buying for a special birthday or perhaps a wedding anniversary. Overall I think the pieces are super versatile and so many people would absolutely love to open one of them on Christmas day.